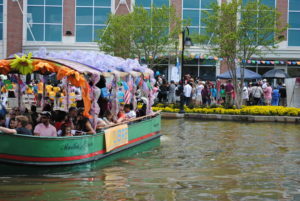 Jump-start the summer festival season by celebrating Virginia as an international melting pot! Cinco de Mayo celebrates Hispanic culture, food, and entertainment. This year’s event on May 5 from noon to eight-thirty at the Canal Walk in Richmond features a community-wide challenge to break the Guinness Book of World Records for the largest display of Piñatas. For seventeen years, the Virginia Hispanic Chamber (VHC) has hosted the annual ¿Qué Pasa? Festival. The Festival showcases the culture and beauty of the many Latin American countries represented in Virginia’s community on Richmond’s Historic Canal Walk. A dynamic mixture of sights, sounds and tastes, the ¿Qué Pasa? 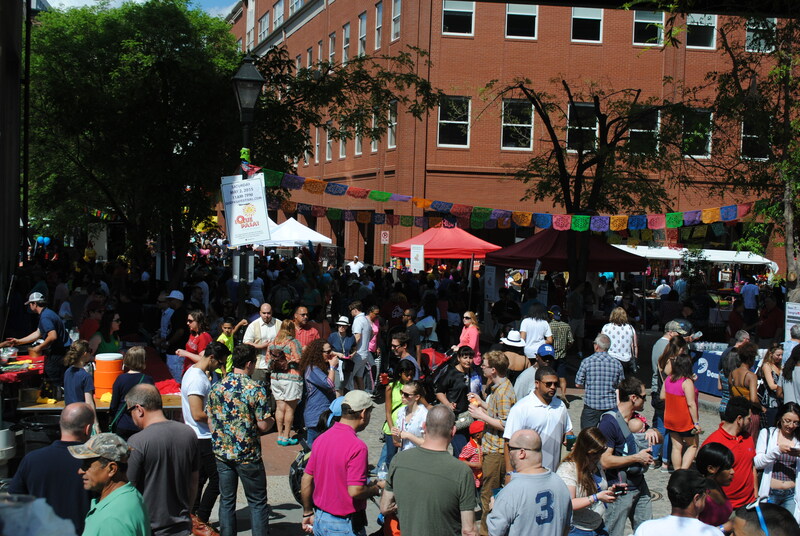 Festival invites each participant to fully engage in this unique opportunity for direct access into Virginia’s Hispanic demographic. Richmond’s small businesses, fortune one hundred companies, and local vendors will have a chance to collaborate with the VHC to promote themselves as an international partner in our global economy. Historically, this event has attracted between 16,000 and 20,000 residents and tourists to celebrate a thriving culture that honors family, invites participation, and loves food. This year, The Virginia Hispanic Foundation, Virginia Hispanic Chamber, and Virginia Commonwealth University Da Vinci Center have initiated a community and statewide effort to raise funds for a good cause and to challenge the current Guinness World Record for the “Largest Display of Piñatas”. The collaboration aims to create a community-wide multi-layer fundraising campaign for the Virginia Hispanic Foundation Pasaporte a la Educación Programs. Piñatas will be constructed, donated and transported to the event to be displayed and documented and for evidence collection. After the event, piñatas will then be transported to a local venue and proudly displayed for the community to continue to enjoy. Once exhibits are completed, volunteers organized through VHF, VHC, and VCU will fill piñatas with supplies and then donate them to eligible schools, programs and families in the community. For more information, visit vahcc.com or call (804) 378-4099. Next articlePodium Asks the Question: Has Spell-Check Ruined Us?